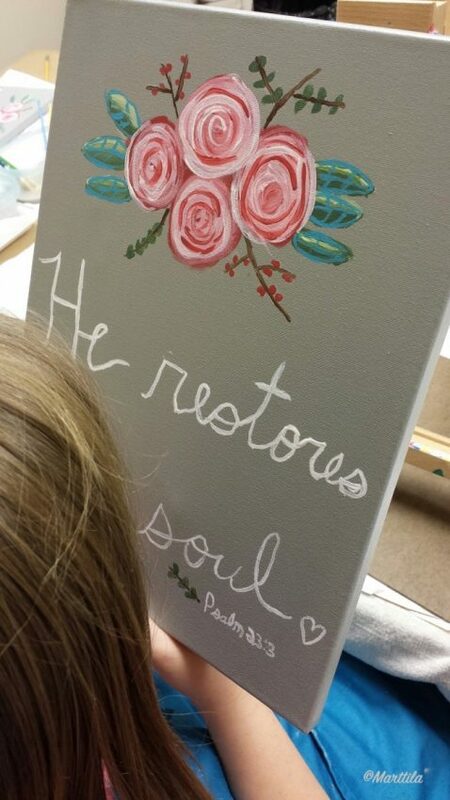 Psalm 23:3 Art Workshop Highlights! 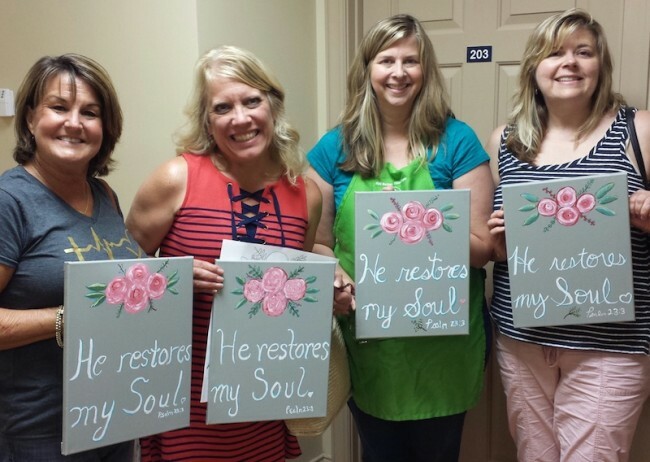 Indeed, beautiful art is what all these ladies created at the “He Restores My Soul” painting workshop!! 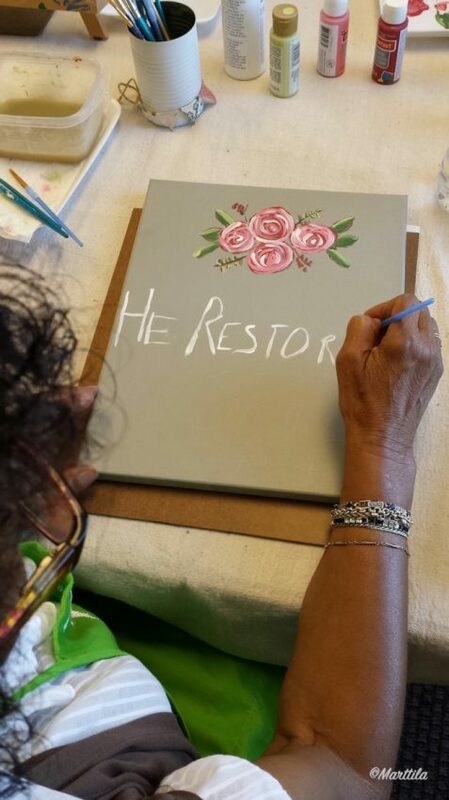 I love how each added their own personal touch and style to this design.💛 We started by each lady drawing the design and writing the verse (in her own handwriting) on an 11×14 sheet of paper . 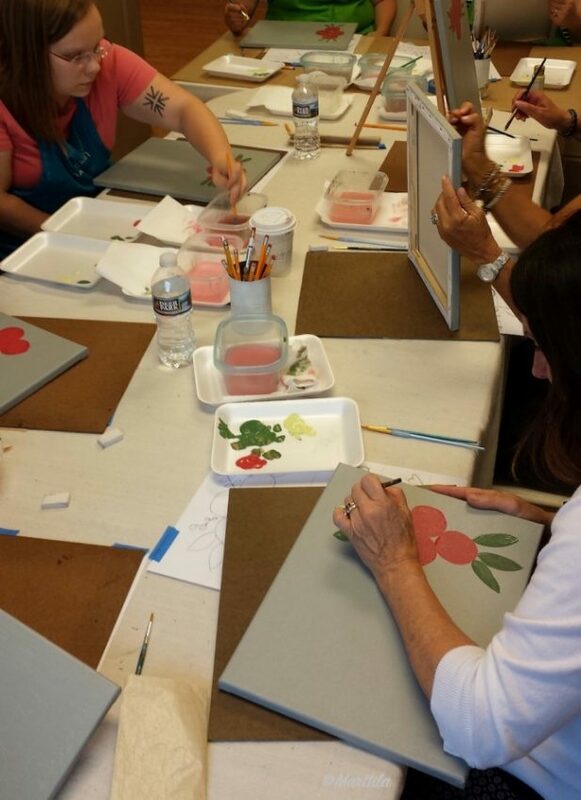 Each person used transfer paper to apply their design to the canvas (primed in gray). 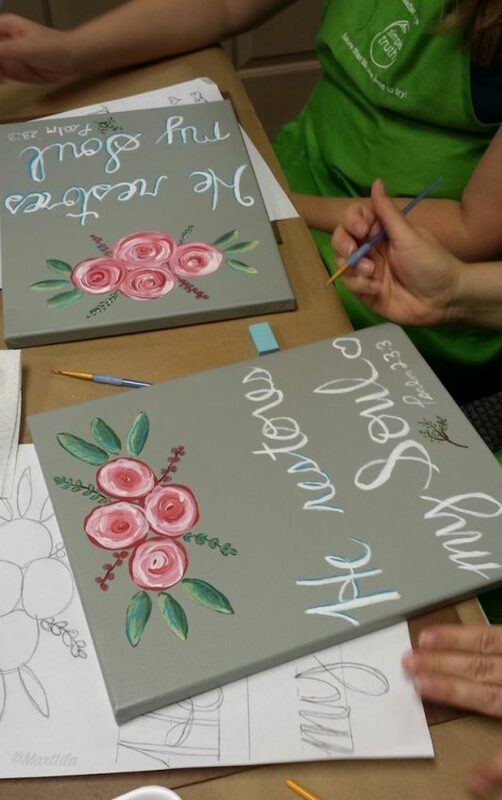 Step by step (layer by layer) we added color to the floral design. 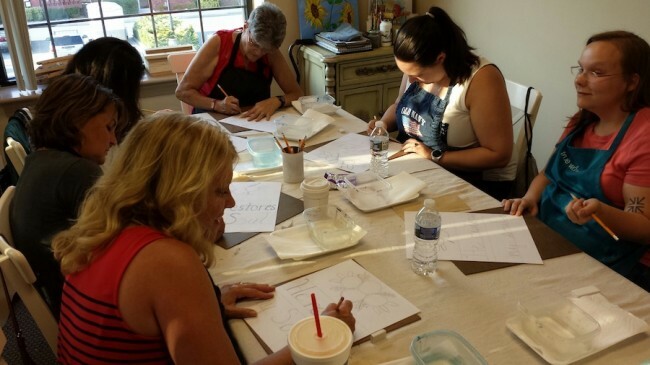 Stay connected for future workshop dates. 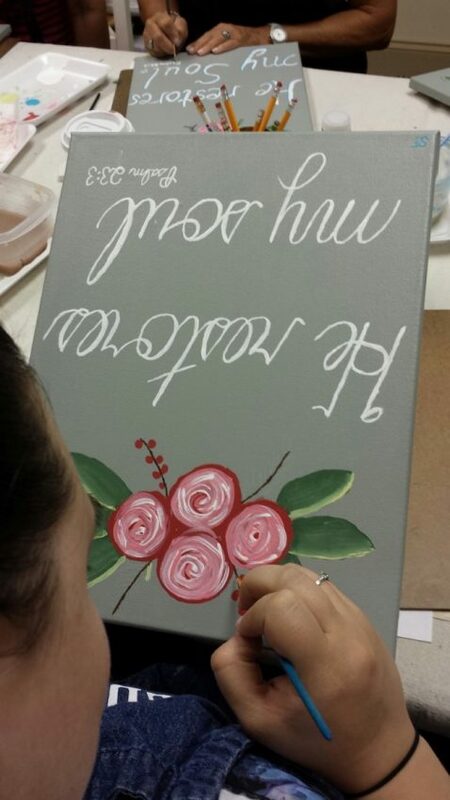 Ladies Paint Night! 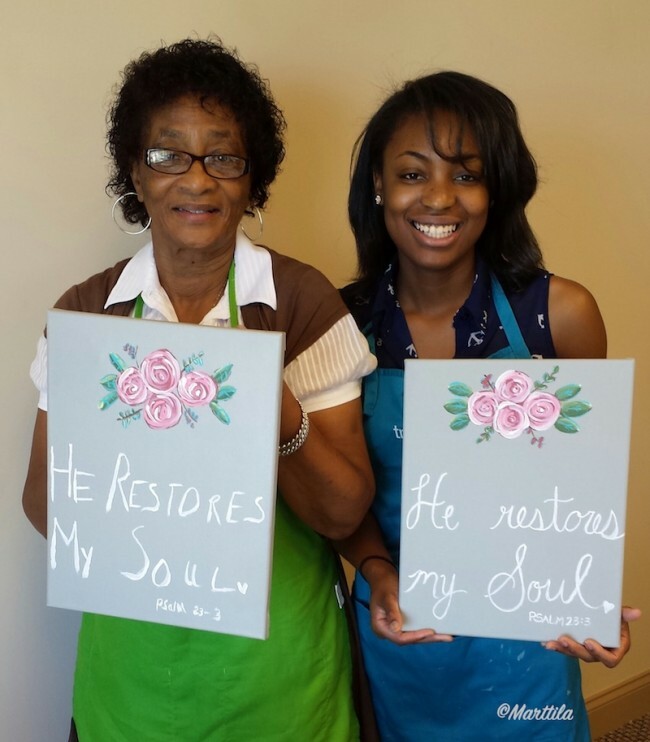 – “He Restores My Soul.”	Reading Guides for Happy Heart: Fill’er Up! Wow, they did a fabulous job! 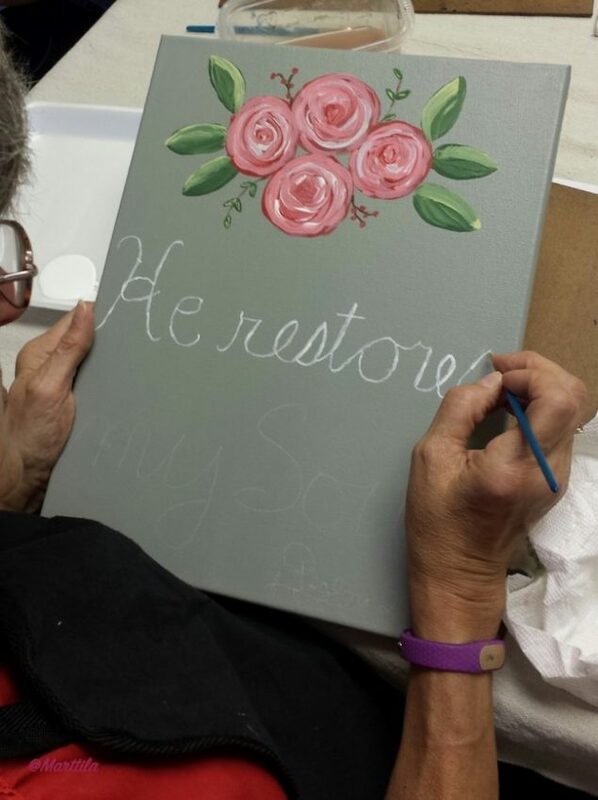 I’m horrible at drawing & painting, so their freehand work is amazing! Thanks for sharing it at Sweet Inspiration this week! 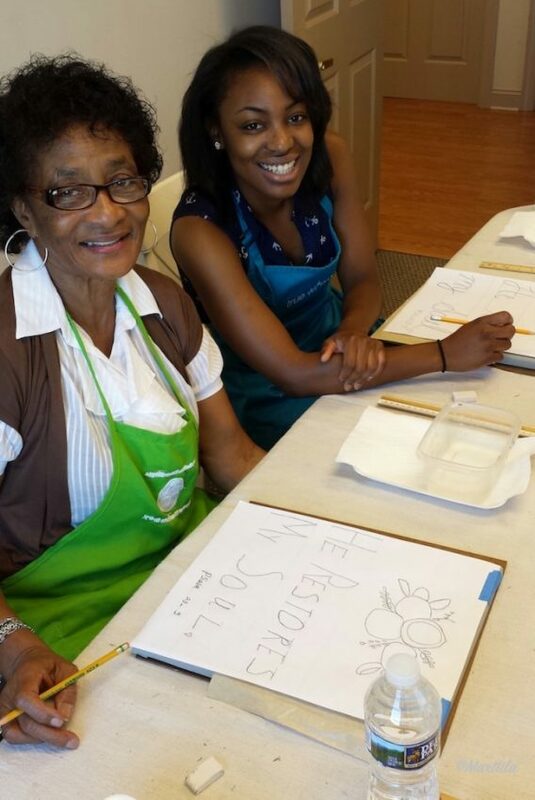 Awe, thank you for your sweet words that encouraged me today…it was a fun workshop!! :). So enjoy seeing all your amazing pieces…your creativity never ceases to amaze me Michelle!! !